Looking for a way to streamline your orientation of students? Content is presented as appropriate for all levels of nursing students and other healthcare professionals. It is also available for non-clinical students such as Pastoral Care and Medical Social Workers. Seeking to create a “best practice” with the Online Orientation concept, content is presented in a multimedia format and as a text document to meet a variety of learning needs. 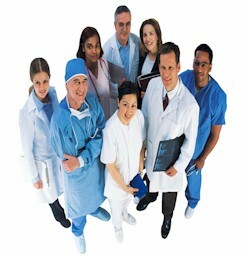 Users complete an online quiz to document their ability to apply the content to healthcare situations. This quiz consists of a 25 randomized question/answer quiz with 5 questions from each of the content modules that are pulled from a large test-pool. A minimum passing score of 92 is required to complete this component successfully. Users may repeat the quiz until they have passed the quiz. Users are only be required to complete the general orientation content once per academic year and facility/unit-specific content as it applies to the clinical assignment. User completion reports for General and Facility-Specific orientations are available to schools and facilities. All users have the opportunity to evaluate their experience with General Orientation and any facility specific orientation that they complete as a component of our continuous quality improvement activities. While completion data for online quizzes may be tracked via the learning management system, partners also have access to a standardized paper document that can be used to track individual student clinical orientation and participation requirements. This downloadable document is available to any partner who chooses to use it as a student clinical passport in a format that may be carried with the student to each clinical experience. Business Model: Fee structure is an annual license fee plus a sliding scale user fee. For collaboratives, a one-time portal development fee is charged to create a branded web portal for student, faculty, and facility use. Contact the TCPS Team and schedule a demonstration of TCPS OrientPro! 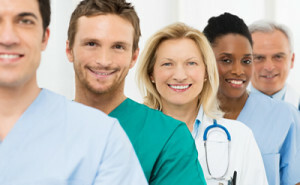 In addition to the General Orientation content, facilities may contract with the TCPS team to also provide facility specific online orientation either through the development of this content for the facility or by linking to existing content that customizes the general content – such as emergency codes, specific National Patient Safety Goal-related initiatives, organizational mission and values, documentation policies and procedures, etc. Facilities also use an online quiz to document student understanding via our online test management system. Students may download any required documents or forms (such as confidentiality forms) that a facility requires related to the student clinical placement process. Facilities are provided reports based upon user evaluation data annually. Contact the TCPS Team and learn more about the options that can be provided related to facility specific orientation!